IRS tax debts require immediate action. To collect tax debt, the IRS has multiple strategies it can use, many of which can devastate you financially. They can use federal tax liens, wage garnishments, levies, and intimidating notices and telephone calls. To protect yourself, your home, and your job when you are in trouble with the IRS, you should consider having a tax lawyer on your side. Our tax lawyers understand the complexity of your IRS tax problem and will work to get you the IRS tax debt relief you deserve. An experienced tax attorney can provide legal tax help in avoiding wage garnishments and IRS levies, releasing tax liens, filing late tax returns, negotiating offers in compromise and resolving payroll tax problems. The IRS will take advantage of a taxpayer who is not knowledgeable about the tax law or IRS audit and collection procedures. Taxpayers need to be protected from IRS error, abuse, and intimidation. Taxpayers frequently overpay their tax liability, either as a consequence of inappropriate IRS actions, or because they do not have the counsel of a skilled and experienced tax lawyer. Contact a tax attorney for legal help in order to obtain the most satisfactory resolution of any of these tax problems. 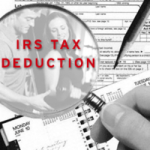 There are now more opportunities than ever before to obtain IRS tax relief. A qualified tax attorney is an invaluable resource in obtaining a fair and affordable resolution of your tax debt problems. A tax attorney stays current with the ever-changing tax laws and codes and is skilled in IRS negotiations. Contact LegalHelpLawyers.com today for legal aid with your tax and/or IRS issues!